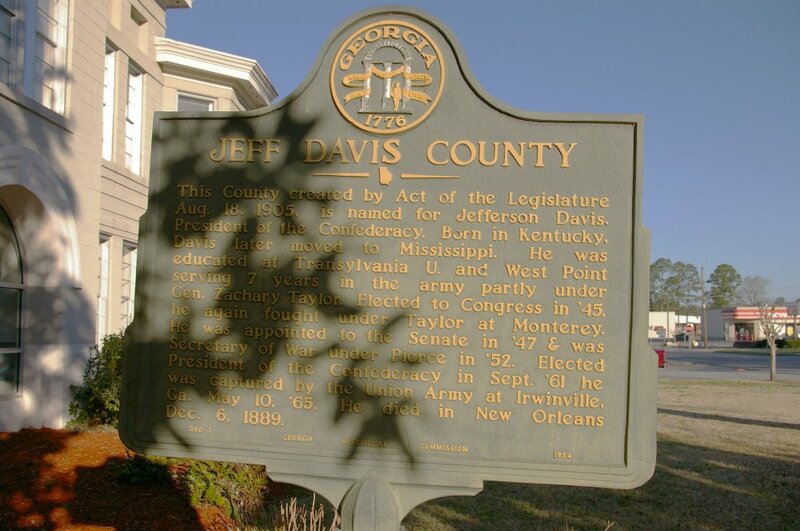 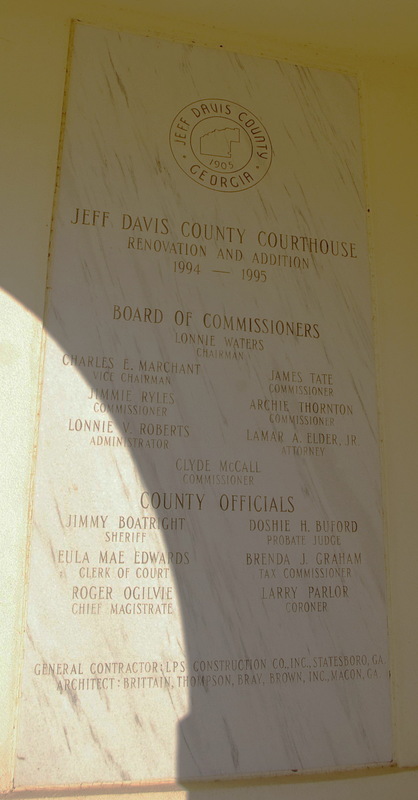 Jeff Davis County is named for Jefferson Davis, who was the only President of the Confederate States of America. 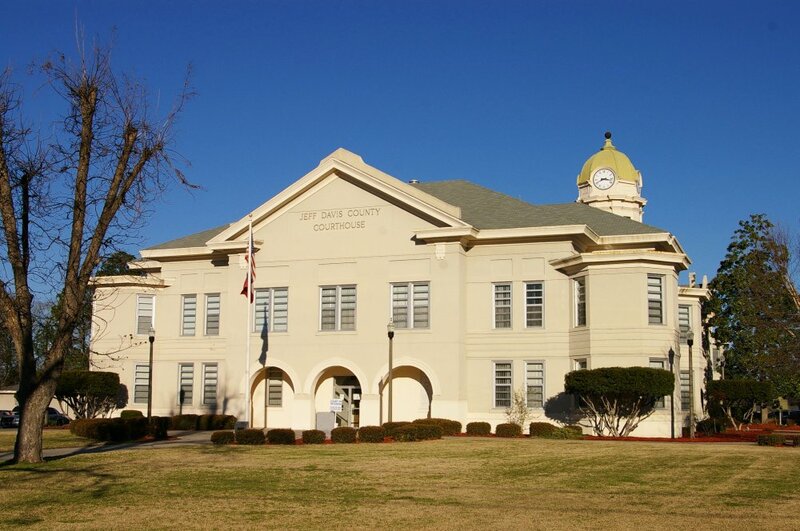 Description: The building faces east and is a two story gray stucco and concrete structure. The building has a projecting center section which has three arches on the first story at the entrance. 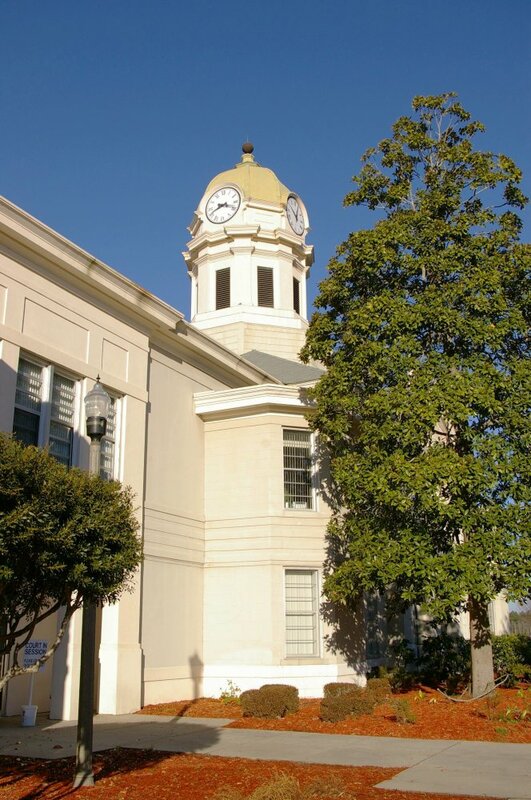 At each corner are hexagonal short towers. 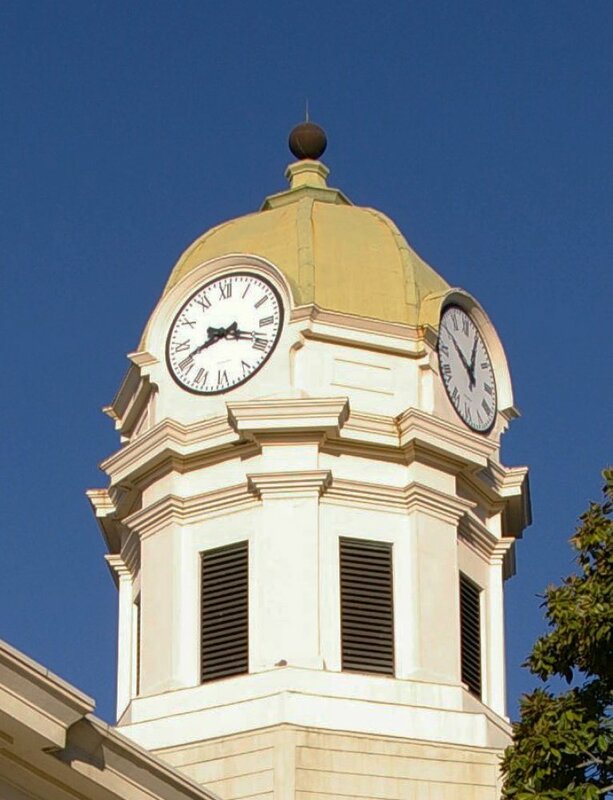 At the west center is an octagonal dome with clock and greenish colored roof. 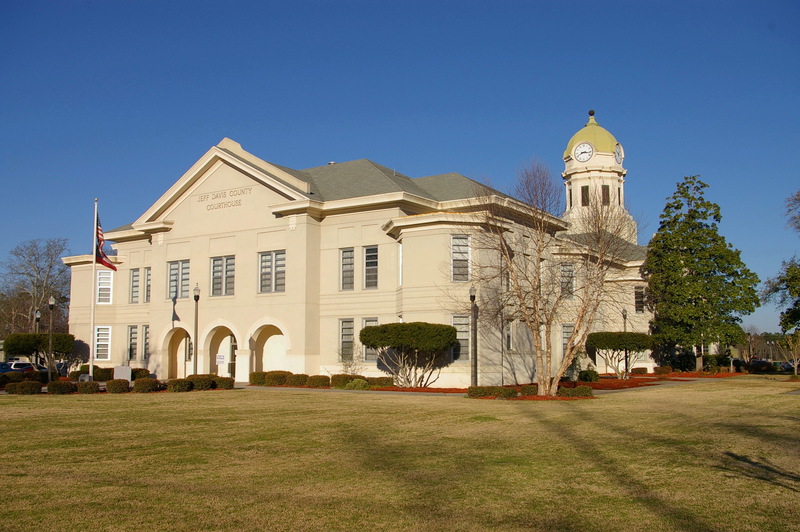 The building was renovated in 1994 to 1995. 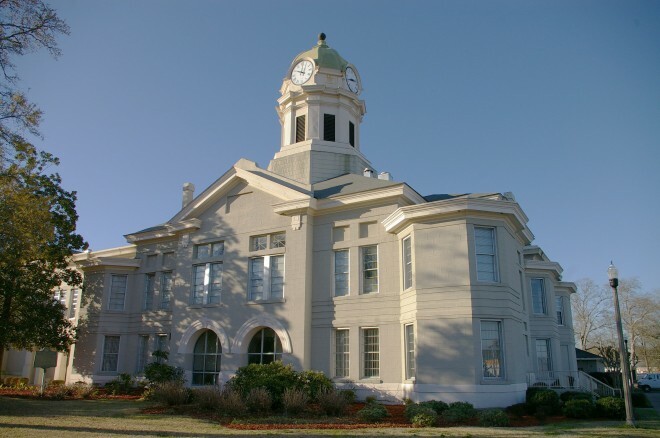 The architect was Brittain, Thompson, Bray, Brown, Inc. of Macon and the contractor was LPS Construction Company, Inc. of Statesboro.